Adrian Barnett, researcher at the Queensland University of Technology, describes Australian homes as glorified tents. Why? His 2015 study of the quality of our home environments found that the average property here does next to nothing to keep its inhabitants warm and healthy. As a landlord in Melbourne, one of the chilliest cities in the country, this has to be a concern during winter. So, provide your tenants with something better than a tent by ticking off this winter checklist. The average house loses 10-20 per cent of it’s warmth through the floor and a further 25-35 per cent through the ceiling, according to YourHome. The best way to stop this and keep your rental warm in winter is to install insulation in your underfloor and ceiling. You can do this yourself if you’re handy or you can have a professional help. Go for insulation with an R-value of 3.5 or more to make sure it’s effective. 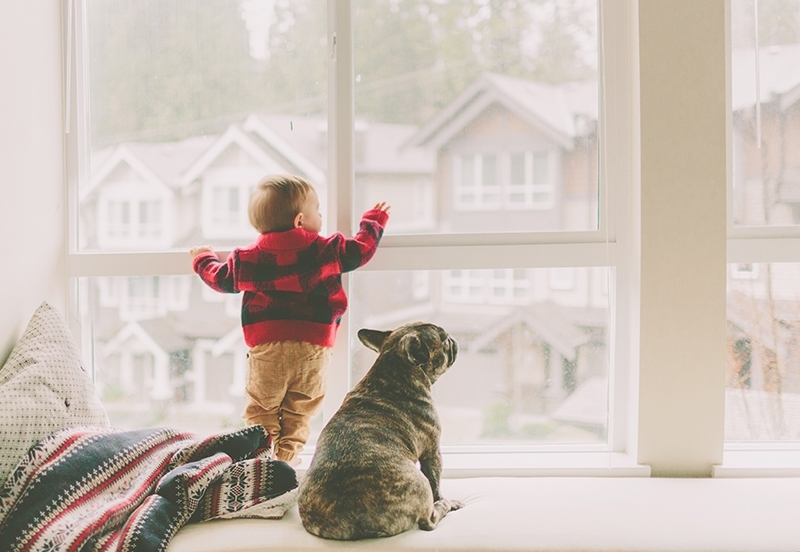 Keeping your tenants warm and healthy this winter should be a priority. In your average Victorian home, if you added up all the cracks and gaps, it would be the equivalent of having a 1 metre by 1.5 metre window open all the time, according to Environment Victoria. Look for draughts and gaps around doors and windows and close them using sealant or draught-stopping tape. If they’re not double glazed the windows in your rental will leak heat like a sieve. The most cost effective way to plug those leaks is to install thick thermal curtains with a pelmet on all windows, making sure that they hang to just below the floor. Provide your tenants with something better than a glorified tent. Regardless of what the heat source in your rental is, if it’s not well maintained and regularly checked it won’t do it’s job. Clean your heat pump filters and have a chimney sweep maintain your fireplace once a year, and update your heaters when they get outdated or are in poor condition. More than 80 per cent of Australian households are worried about rising electricity prices. Unfortunately keeping your rental warm in winter may cost your tenants a lot of money, so you should do whatever you can to help. More than anything, wrapping hot water cylinders and pipes in fibre glass insulation will help keep those power bills down. It’s a full time job being a good landlord in Melbourne. For a little help taking care of your investment and your tenants this winter, get in touch with the team at your local Brad Teal office.